A sudden spike in the number of undocumented migrants arriving from neighboring Turkey has led to concern on the part of Greek authorities, who expect the next few days to reveal whether the rapid increase is a random occurence or the beginning of a new trend. A total of 643 migrants who had set out from the Turkish coast landed on the islands of the eastern Aegean between Friday and Monday morning, according to government figures. Another 114 people arrived in two separate smuggling boats later on Monday, putting authorities on alert. Early on Monday, a vessel belonging to the European Union’s border monitoring agency Frontex spotted a smuggling boat off the coast of Chios and intercepted the 53 migrants who had been aboard. 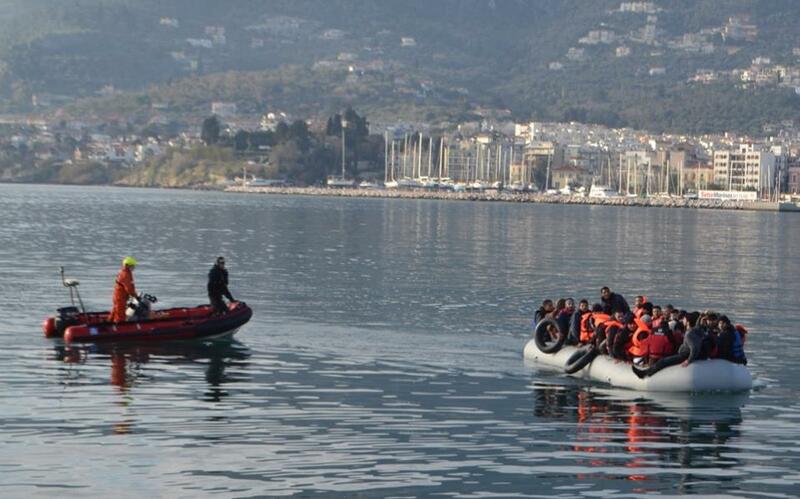 Later in the day another 61 migrants were found in a boat that had reached Samos and were also detained. Tensions are already high in reception centers on several Aegean islands. Most of the facilities are at around twice their capacity as hundreds of migrants and refugees await the outcome of asylum applications or deportation orders. Tolerance has been tested in several island communities as dozens of migrants continue to arrive daily from nearby Turkish shores. There are currently more than 14,400 migrants living on camps on Lesvos, Chios, Samos, Kos and Leros.